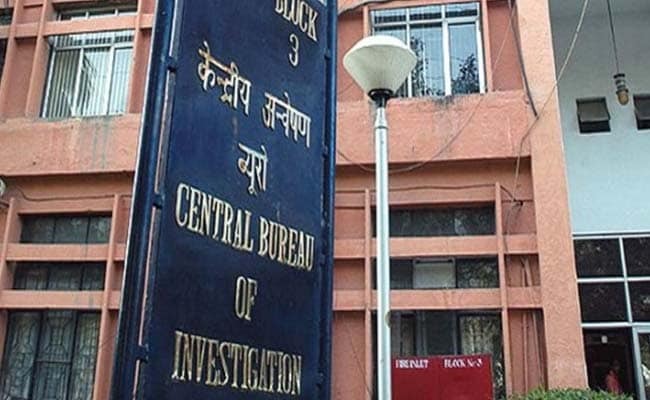 The CBI has caught red-handed an official of Central Council of Indian Medicine, which works under the Union Ayush Ministry, while allegedly taking a bribe of Rs 10 lakh from official of a Maharashtra-based private college for clearing proposal to increase its admission capacity from 60 to 100, officials said. Upper division clerk BK Basavaraju, posted at the Council office, was arrested while he was receiving the alleged bribe from Anjana Kedari Redekar of Late Kedari Redekar Ayurvedic Mahavidyalaya in Kolhapur, Maharashtra, officials said. Redekar has also been named as an accused in the FIR. The college had applied for obtaining LOP (Letter of Permission) from the ministry for increasing its admission capacity from 60 candidates to 100 candidates which is processed through the council, they said. It is alleged in the CBI FIR that Redekar entered in a criminal conspiracy with Basavaraju, who has close contacts and personal rapport with BR Ramakrishna, the President, CCIM, who is the authority to decide the matter. The official said that the role of several officials in the ministry is under scanner. The FIR has alleged that in June and July, Basavaraju informed Redekar that Ramakrishna had shown his willingness for recommending issuance of the LOP and has demanded an illegal gratification to the tune of Rs 20 lakh. After negotiations the deal was allegedly finalised at Rs 17 lakh for obtaining favourable recommendation in pursuance of the criminal conspiracy, the FIR said. Redekar allegedly told Basavaraju that she had paid bribe of Rs 35 lakh to Vanitha Murlikumar, the former President of the Council, for getting favourable recommendation for enhancement of seats of her college, the FIR states. The agency arrested Basavaraju red-handed while he was allegedly receiving the bribe of Rs 10 lakh.